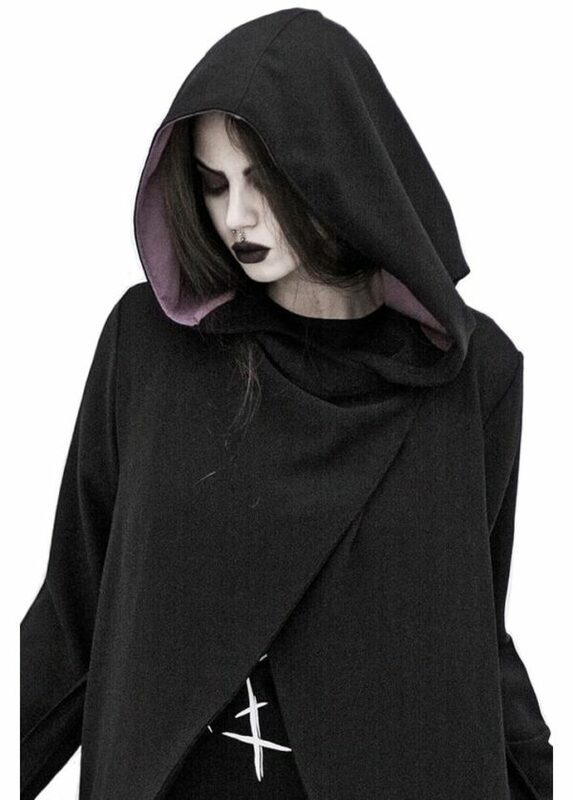 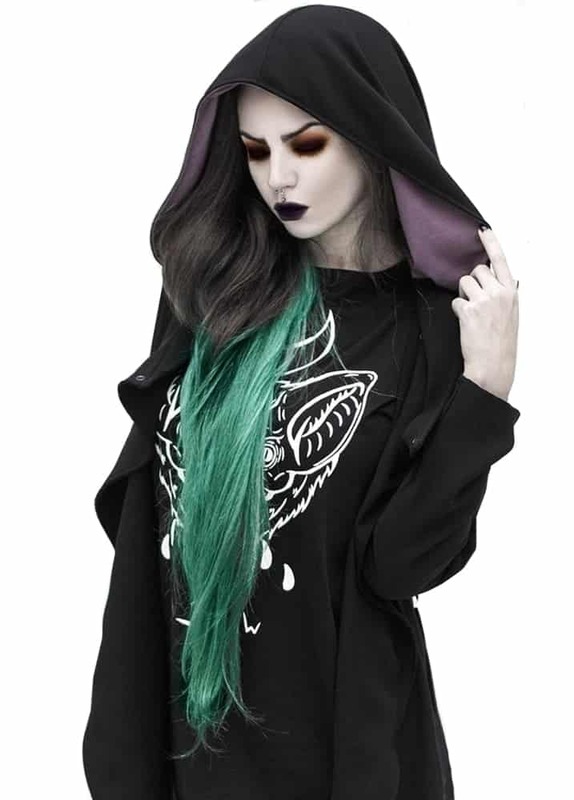 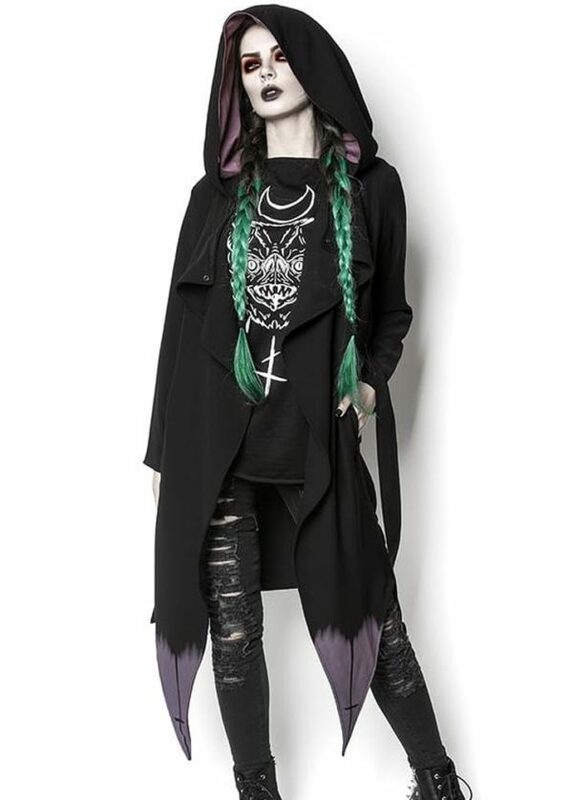 The High Priestess Coat from Rogue & Wolf is a devilishly sleek coat with an oversized hood. The gothic coat features a dusty lavender coloured hood lining and hem prints which will put you in the mood for rituals. 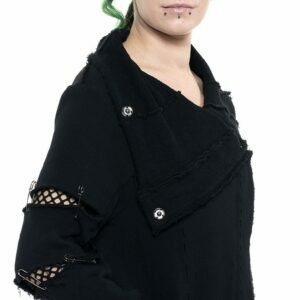 The alternative coat has a luxurious black crepe fabric.